Diamond microdermabrasion gently and painlessly removes the upper layers of the skin.The skin cells renew themselves in a regular cycle. 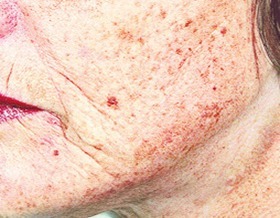 This ability diminishes with increasing age, resulting in a deterioration of the skin due to the lack of new cells.The dead skin flakes must be removed in order to improve the appearance of the skin. The effective rejuvenation treatment for the skin! Aging process and sunlight cause problems for the skin – we have a solution! 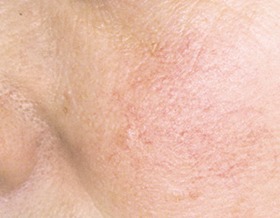 Unsightly symptoms of the skin like pigments, age spots, diffuse redness, red vessels (couperose) or other skin symptoms can be removed by Ellipse Sirius. 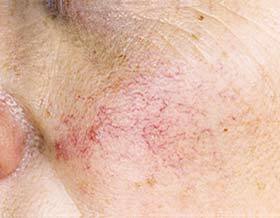 Specially filtered light applied on the affected areas makes a visible improvement of the skin appearance possible. 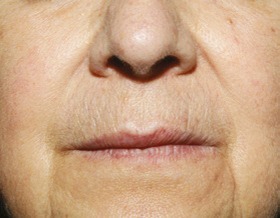 Just as gentle to the skin as other treatments with Ellipse Sirius. 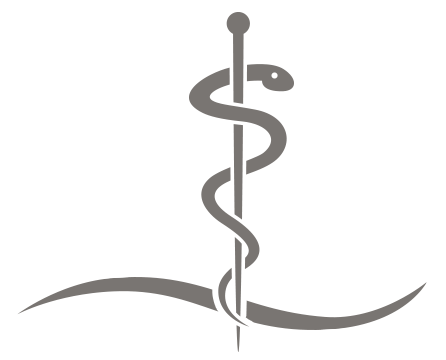 How does the Ellipse Sirius Advanced Skin Rejuvenation treatment work? The Ellipse Sirius skin rejuvenation treatment works by directing well-controlled pulses of light into the upper skin layer. The light is absorbed by two of the body‘s own natural chemicals – melanin in the pigmented areas and haemoglobin in the red blood cells. Both these pigments convert the light energy into heat. This heat is used to destroy the parts of the cells in which the melanin is stored, and to damage the walls of the vessels supplying blood to the areas where vascular damage is seen. This technique is called „Selective Photothermolysis”. 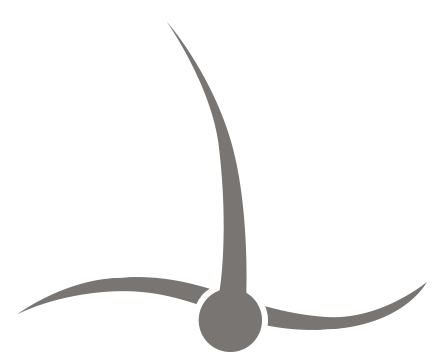 The visible light produced by the Ellipse Sirius- system is carefully controlled to produce the correct pulse length and right amount of energy to destroy the targets without damaging surrounding tissue. 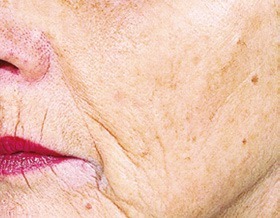 The Ellipse Sirius skin rejuvenation treatment will treat diffuse redness and larger telangiectasia (individually visible vessels) as well as pigment- or age-spots. Advanced skin rejuvenation is a quick and simple treatment that does not interfere with your normal daily routine, repairing sun-damage found on the face, neck, chest and hands. 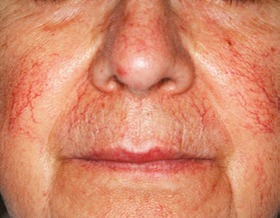 What makes this procedure so unique, is the outstanding effectiveness while simultaneously being gentle to the skin. The amount of energy used in a treatment is, thanks to the extraordinary filter technology, much lower compared to other IPL-technologies or laser devices. The more energy you use, the higher the risk of burning the skin. With Ellipse Sirius you are on the safe side! The big plus (+) for a beautiful and healthy skin. 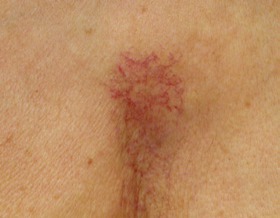 teleangiectasiaPictures courtesy of Prof. Dr. A. Troilius, University Clinic Malmö, and Prof. Dr. P. Bjerring, University Clinic Aarhus. Welcome to SkinExperts.lu – Luxembourg’s leading beauty institute for state-of-the-art technical skin cosmetics. Our skin is not only our largest organ and fulfils multiple vital functions, but it is also a mirror – internally and externally. Its health and beauty affect us in our private and professional life. This is why SkinExperts focuses exclusively on the medical treatment of cosmetical problems of your skin. Many who are affected suffer from those problems and often times search in vain for competent advice and professional solutions. Our treatments are based on state-of-the-art technology developed in collaboration with specialists and extensive research by market leader premium aesthetic. This allows us to treat your skin abysmally or cursory. The result is permanently healthy and beautiful skin. Our exclusive cooperation with premium asthetic makes SkinExperts the only institute in Luxembourg that can treat you with this market-leading technology. Our unique technical skin cosmetics equipment is complemented by our partnership with medical Doctor Isolde Semm. Through this partnership, we also offer medical skin treatments of wrinkles based on botox and hyaloron. It is our ambition to always offer you the best possible advice, technology and competence. We combine this with first-class service that allows to optimally help the complex needs of your skin in a customized way. we, Sarina Grosz and Nadine Rosch, are state-approved cosmeticians with longtime experience in the cosmetics and fashion business. Already during our cosmetical training we recognized that the future of cosmetics, specifically the treatment of problematic skin, is in technical skin solutions. Here, modern technology can not only be much more effectively employed, but also allow smoother and more gentle treatment of your skin than traditional manually operated methods. After intensive research for the optimal partner, we decided to collaborate with premium aesthetic and Hairless Skin from Germany. Both companies work with us as exclusive partners in Luxemburg. The medical applications of premium aesthetic have been developed especially for the treatment of problematic skin. Ellipse SIRIUS offers optimal application for permanent hair removal and skin regeneration. Paired with our expertise, competency in service and our passion for perfection, this treatments is setting new standards in medical and dermaceutical cosmetics in the premium segment in Luxemburg. Both of us have multiple years of experience from our self-employment. 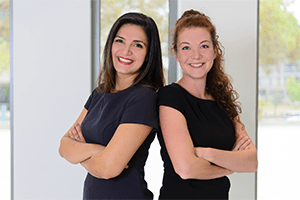 Sarina Grosz has been working in permanent hair removal, while Nadine has been contributor for cosmetical products in Luxemburg. In addition, we make ensure to permanently update our knowledge of the latest technology in frequent trainings. Also our team is composed of experienced specialists in their area of treatment. All our employees possess cosmetical or medical degrees and certifications for the use of our applications and treatment methods. It is our philosophy to combine modern technology with personalized service in order to always prioritize the individual beauty of our clients. We look forward to discuss your individual needs with you personally and developed unique treatment methods that optimally cater your skin.